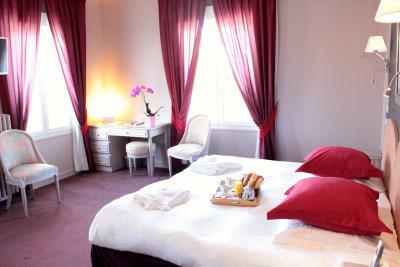 Lock in a great price for Hotel The Originals Grand Hôtel de Courtoisville - Piscine & Spa (ex Relais du Silence) – rated 8.2 by recent guests! 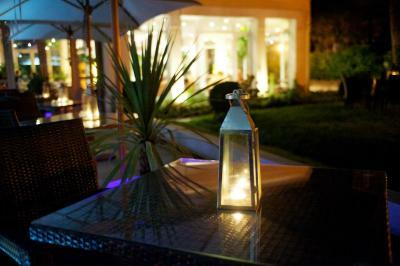 A lovely hotel in a quiet location close to the beach at Sillon. We had a warm welcome, our room was good with a very comfortable bed. Our evening meal was most enjoyable. The hotel has good secure parking & attractive outside areas. I had to change my booking from 2 to 1 night the day before my stay. I couldn't do this via booking.com, since it was after the cut off date. I rang the hotel to let them know that we would be a day late, to make sure that we didn't loose the booking. The staff at the hotel made the extra effort to get my booking modified so that I wouldn't get charged for the extra night. We will definitely stay with them again. We liked the quietness and the room was ok. It is a little run down though. The staff were very pleasant and helpful. It was close to beach but too far of a walk for centre when you want to do it a few times a day. We ended up getting taxis in the end which were roughly around 10 euro per trip. Other than being locked out of the room the hotel itself was ok. I would not rate it four star though. 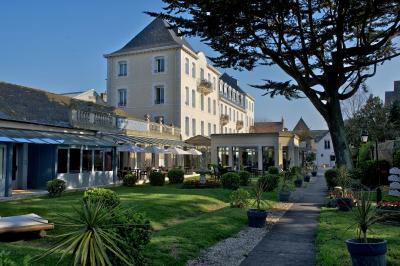 Absolutely lovely hotel, next to the promenade. Nice walk into St Malo. The bed was one of the best we have ever slept in. The food in the restaurant was mouth watering. Thoroughly enjoyable stay. Situated very close to the beach but almost 1/2 hour's walk to the centre. The hotel is lovely but starting to show its age a bit. 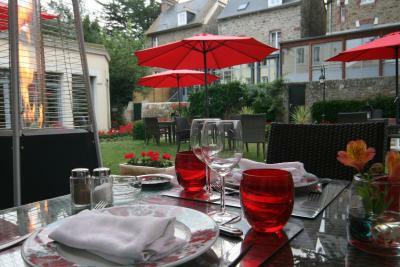 An "old-fashioned" comfortable hotel in prime spot close to Plage Sillon. Excellent restaurant. Parking onsite (if check in early afternoon). Personal and attentive service. We had a big (stupid) thing with our car but the owners helped us with everything (translations, finding other car owners, calls, drinks etc). They even drove us to our next location, many, many thanks Florence, husband and father. Because of you all, this thing did not spoil our short holiday. We enjoyed the hotel and the location very much. Thanks again for all your great help. We will certainly come back. The hotel was in set in beautiful grounds, very helpful, friendly staff. 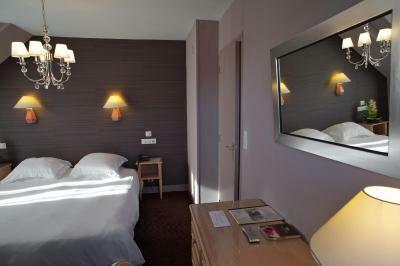 Situated a very short walk to the beautiful beach and an easy flat walk into Saint Malo. One of our best sellers in Saint Malo! 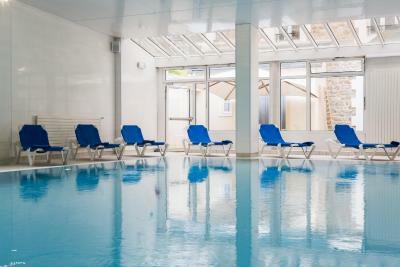 Located 150 feet from the beach, Hotel The Originals Grand Hôtel de Courtoisville - Piscine & Spa (ex Relais du Silence) features a heated indoor swimming pool equipped with a hydrotherapy massage system. 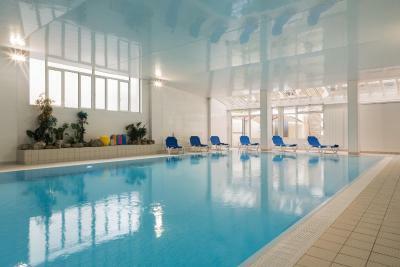 It also offers a Spa with a hammam. 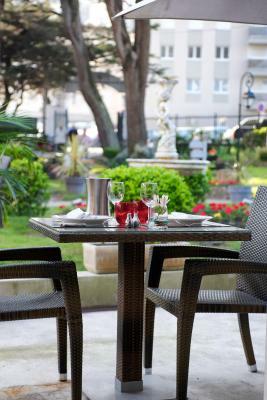 Surrounded by a large garden in a calm setting, this charming hotel is located in the center of Saint Malo, the beautiful walled port city of Brittany. 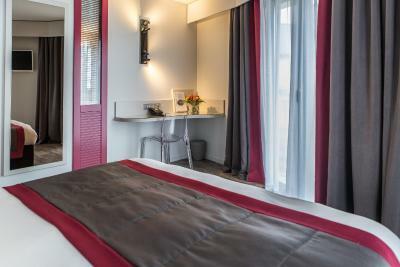 Guestrooms are large, comfortable and well-appointed. 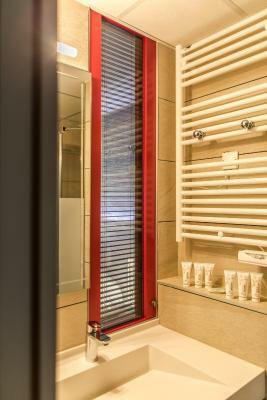 They are equipped with modern private bathrooms and provide a relaxing living space for the length of your stay. Massages can be requested at a surcharge. Sample and enjoy refined cuisine, including fish and seafood specialties, made using the freshest local produce in the hotel’s restaurant. Sillon is a great choice for travelers interested in beaches, beach walks and coastal walks. 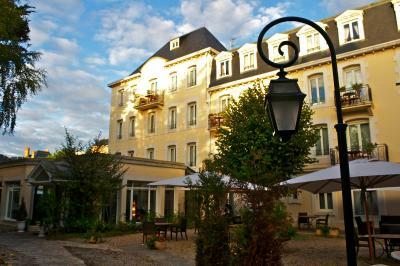 When would you like to stay at Hotel The Originals Grand Hôtel de Courtoisville - Piscine & Spa (ex Relais du Silence)? A flat-screen TV with satellite channels is found in this room with attached bathroom. This luminous room is equipped with a flat-screen TV and satellite channels. Set on the ground floor and opening onto the garden, this spacious room features a sofa, LCD TV with satellite channels, private bathroom with hairdryer and towels heater. With a garden view, this spacious villa features an open-plan kitchen and a contemporary lounge. One of the 4 bedrooms has a bathroom with a spa bath. 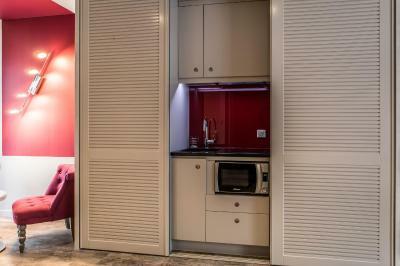 Self-catering studio from 25 to 95 ft² featuring a fully equipped kitchenette with a Nespresso coffee machine, a living room and a bathroom. 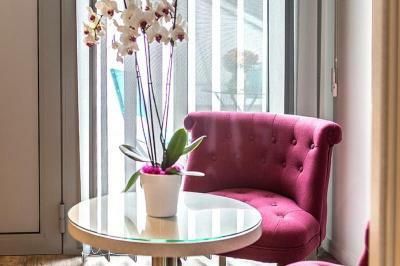 Free WiFi and an LCD TV are at your disposal in the room. Please select the bed preference during the reservation process. 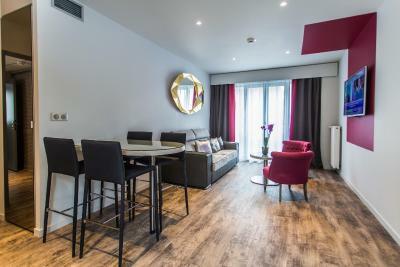 This self-catering apartment can accommodate up to 4 people and features a fully equipped kitchen with a Nespresso coffee machine, a living area with a sofa bed and an LCD TV, and a bathroom. Free WiFi is provided. 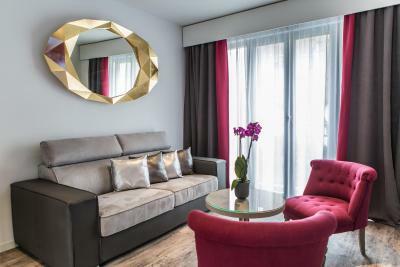 This apartment can accommodate up to 6 people and features a living room and a fully equipped kitchenette with a refrigerator, stovetop and Nespresso coffee machine. 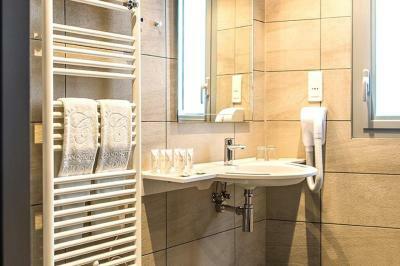 Towels and toiletries are provided in the bathroom and extras in this apartment include a flat-screen TV and WiFi. Let your senses blossom! The promise of a break that awakens the senses, a private moment to listen to the sounds of life and nature, of relaxation, in a unique and authentic natural setting. Living the moment, delighting in and savouring the beauty of the here and now. Treat your taste buds with a selection of local flavours, taken to new heights by passionate, professional chefs. This is what the soul of the Relais du Silence is all about. 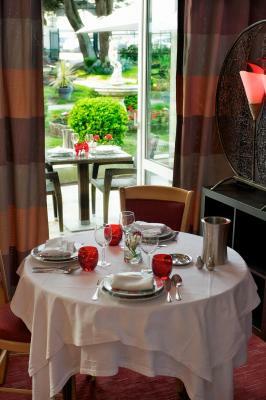 Hotels that offer you the best in sophistication, comfort and the art of living throughout Europe. 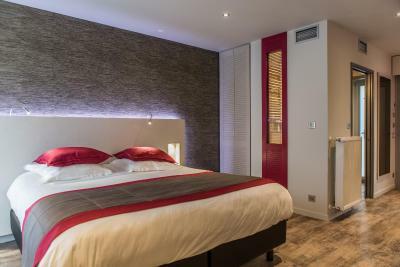 Your hotel in Saint Malo : a privileged and comfortable place of residence which will seduce you by its warm and cordial welcome, an excellent restaurant of French traditional refined cuisine as well as its spacious heated indoor swimming pool, beauty center spa modelage & hammam. Hotel surroundings – This neighborhood is a great choice for travelers interested in beaches, beach walks and coastal walks – Check location Great location - show map Guests loved walking around the neighborhood! House Rules Hotel The Originals Grand Hôtel de Courtoisville - Piscine & Spa (ex Relais du Silence) takes special requests – add in the next step! 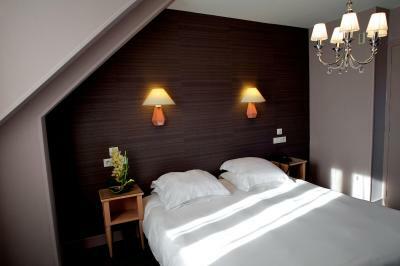 Hotel The Originals Grand Hôtel de Courtoisville - Piscine &amp; Spa (ex Relais du Silence) accepts these cards and reserves the right to temporarily hold an amount prior to arrival. Hotel The Originals Grand Hôtel de Courtoisville - Piscine & Spa (ex Relais du Silence) accepts these cards and reserves the right to temporarily hold an amount prior to arrival. The place needs doing up, the shower head holder fell off the wall when I tried to put the shower head in. The forced automatic shower that suddenly comes on when you want to walk through to the swimming pool is dangerous and shocked my little boy so he nearly fell backwards. The free parking is actually limited to a max of 15 spaces and there is nowhere near to park. No staff at reception past 11.30pm. We were locked out of our room as the key was not activated properly. We could not find an emergency number so after 40 mins we found two keys for different room number 112 and 114. We tried these by chance and both of them worked on our door. Note we were locked out of room 109. But keys left out on reception for other rooms worked. We were very stressed being locked out and having no one around to help. We thought we would have to sleep on reception or our car. Either way not what we paid for. We have never had this happen in a hotel before and it is just not acceptable. We were very stressed on our first night of only two. I would not recommend this hotel as they do not have 24 hour service. There is nothing we did not like about this place. Indoor pool but no jacuzzi / sauna and very little "lounging" space. The view was a rusty metallic roof directly outside one of the windows (but we had not paid for a room with a view so perhaps that is our fault). A comfortable room (110) but it would have benefited from having a fan. the carp park is very small (maybe 10 spaces) and when we arrived there was no parking available. however a member of staff who was leaving told us we could have his space up the road : this was very helpful. The food in the restaurant wasn't as good as usual. I have stayed there before, and find it convenient for visits to St Malo. It has some onsite parking which is important in St Malo. Old & shabby hotel and bed not that comfortable. Nothing was especially noticeably good.